The city of Denver is dedicated to sustainable development and ecologically friendly practices that will help us develop a green Denver as well as green meetings. Denver&apos;s Office of Sustainability provides leadership and solutions to ensure a prosperous community where people and nature thrive. Natural beauty surrounds us daily and we care about the environment. Green is here to stay. 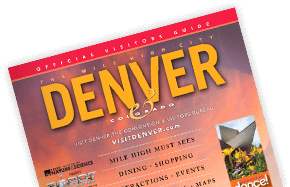 VISIT DENVER has all of the tools, a sustainable convention center, eco-friendly transportation and other resources to assist planners in implementing green practices, reducing, reusing, recycling and giving back. In May 2014, the center has improved its LEED status to LEED Gold by the U.S. Green Building Council through the recertification process required every five years. With a dedicated Sustainable Programs Manager, a robust green program and a 300,000 kilowatt solar array, the LEED Certified Existing Building is the premier sustainable conference center and ideal location for a green meeting or convention. We surveyed our downtown hotels on their sustainability practices, including Waste Management, Energy Conservation, Air Quality and more. Read all the reports here. Denver International Airport is dedicated to eco-friendliness and sustainable energy efficiency, with its 4.1 MW solar arrays, 100 percent alternative fuel fleet and recycling program that includes almost 20 products. With its abundant fresh air, crystal-clear blue skies and wide variety of natural wonders, Denver takes being "green" and eco friendly seriously.